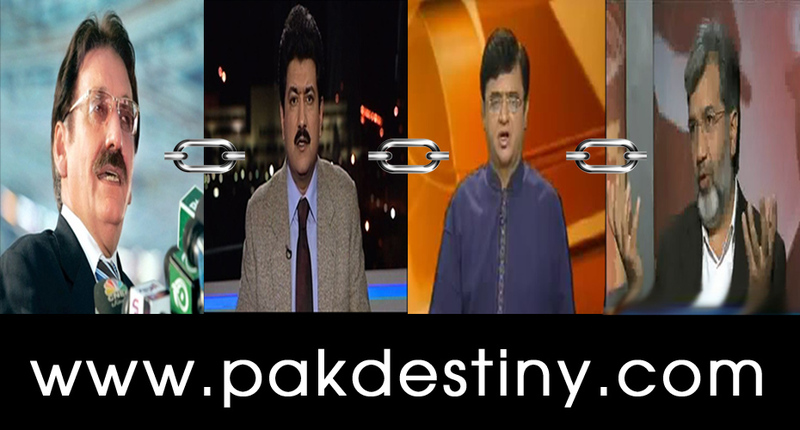 Islamabad, June 25 (http://www.pakdestiny.com) As they say you consciously defend yourself if you have committed something wrong, same is the case with our tainted anchors who are accused of receiving millions of rupees from Malik Riaz. Riaz, a property tycoon, came into lime light after he made a stunning revelation that Chief Justice of Pakistan Iftikhar Chaudhry’s son Arsalan had received Rs340 million from him on the promise that he would get favourable verdict in Bahria Town property cases from his father. 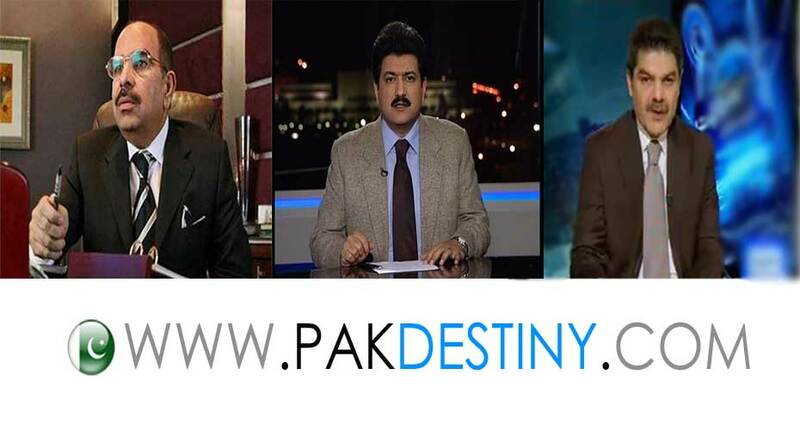 After the list of 19 anchors who received money from Riaz made public through social media, they (anchors) have started clarifying their position in their talk shows and columns. Geo TV’s Aftab Iqbal told audience in his “khabarnak’ show that he received handsome salary which is enough to buy him two new cars, a house and 25-kanal form house in Baidian Road. He said he never got any benefit from any one. Will he ever tell his audience that how much salary he draws that can buy a form house on Defence Road Lahore worth crore of rupees. Mr stop fooling people and tell them the name of the politicians you have received the land. Similarly, Hamid Mir, Kamran Khan, Javed Chaudhry, Hassan Nisar, Najam Sethi, Mubashir Luqman, Mehr Bukhari and Asma Sherazi tried to cover up their ‘professional corruption’ by doing a full programme to defend themselves but the people are not convinced. Even Talat Hussain of Dawn TV was no exception as he used the all important airtime of his channel to tell the audience that “I am the most clean man”. No one had asked him to clarify his position as his name was not in the list of 19. Geo’s Sana Butcha who allegedly received huge amount from Riaz is trying to create an impression in her talk shows that Riaz like characters should be penalized for giving bribes to journalists. But not to journalists. 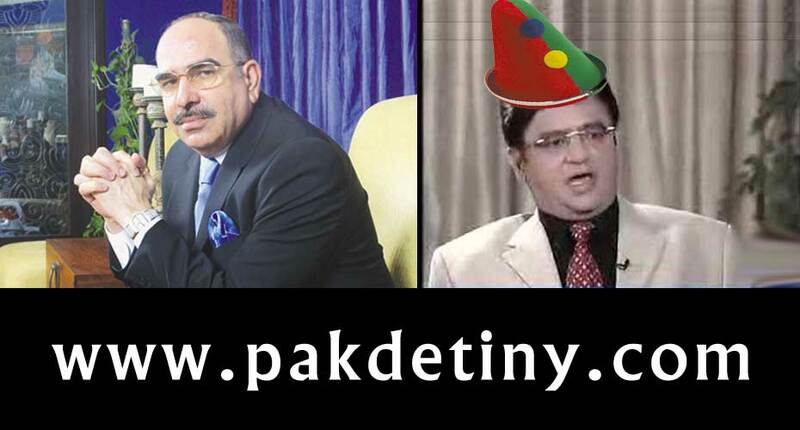 Talat provided those documents after Najam Sethi claimed that Talat gets money from an american agency and has accounts. He very clearly stated in his program that he is clarifying it for the people who watch him, in millions by the way, and trust him, and not for Najam Sethi. Get your facts straight before you point fingers, you loser! Author of this post is a douche, Talat did his programme before ‘Media Gate’ and before the announced list, and he wasn’t planning on doing that, Sethi blamed him to cover up his own a** which resulted in a counter programme from Talat. I do feel Talat is a respectable and a clean guy. He should not use his air time for his personal clearance but for some other valuable inputs. Any way if he did no problem in this panicky situation, one easily detracted from ones core job. I believe he defended himself specially, so called “COMPANY ACCOUNT”.